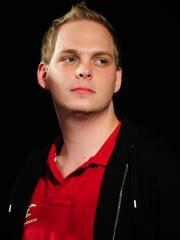 Dennis "HasuObs" Schneider is a German Heroes of the Storm player, formerly a StarCraft II and WarCraft III player. HasuObs is currently ranked #434 in highest overall earnings, and #5 in highest earnings for players from Germany. Before his 18th birthday, HasuObs was awarded $973.78 in cash prizes from 3 tournaments. 0.43% of his total prize money was earned before May 26, 2006. The largest cash prize that HasuObs has been awarded from a single tournament was $16,000.00 from HGC 2018 Global Finals on November 3, 2018. His 3rd-4th place finish makes up 7.13% of his total prize money won. HasuObs obtained $100,000 in total prize money earned on August 22, 2013 with a $3,340.41 cash prize from his 1st place finish at EPS Germany: Summer 2013 (StarCraft II). Prize money from 104 tournaments got him to that point.